He seems kind and carefree, but beware! First he grinds them, then see! Now they're bare! 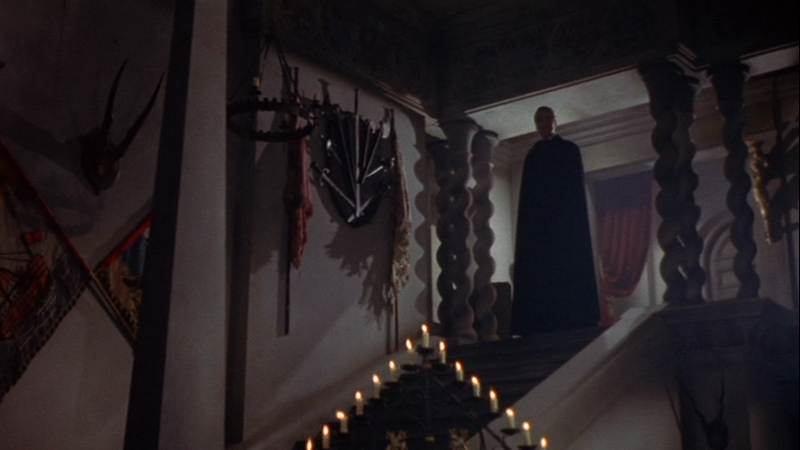 Christopher Lee's Dracula makes a dramatic entrance in (Horror of) Dracula (Terence Fisher; 1958) from Hammer films.